Her family was moved from Gujranwala, Pakistan to India during Partition (in 1947). At the age of nine, she was so intelligent that her sharp astuteness and deep understanding would astonish her teachers also. 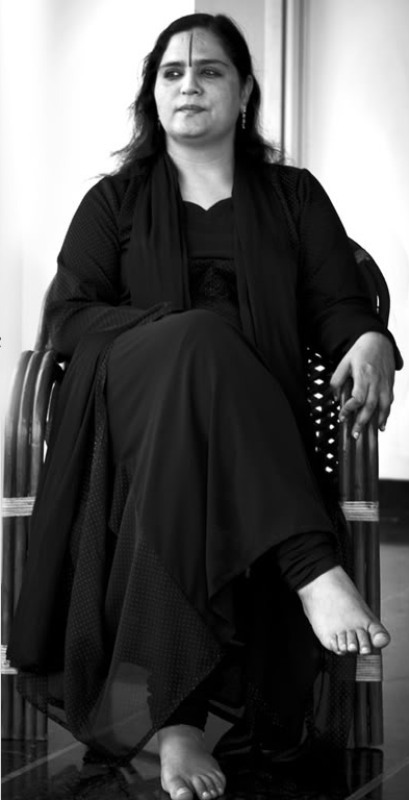 She started writing poetry at an early age, and till now, she has written hundreds of poems with their musical compositions. During her childhood, she used to meditate in silence and liked to listen to the philosophy of Vedanta. One day, she went into complete silence and after seven months’ quietness, she left her hometown and visited different holy places of North India; after reaching Rishikesh, she went into deep silence again for a longer period of time. She received her divine calling at the age of fourteen. She also used to deliver satsangs (spiritual sermon) to the people in her area. She has full faith in ancient Ayurvedic treatments and Yoga and conducts training classes in her ashram also. Guruma also gave her allocation at Jain Center of Southern California in August 2016. 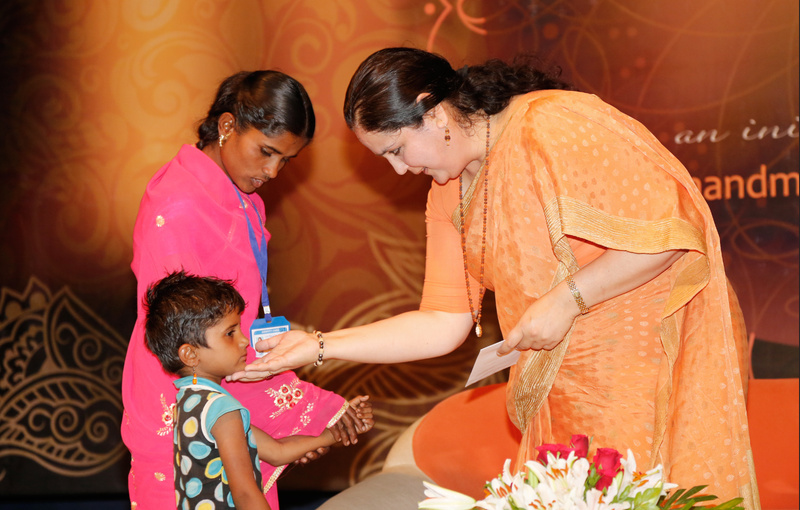 Her discourses are telecasted in the programme- ‘Amrit Varsha’, on Star Plus TV channel daily. 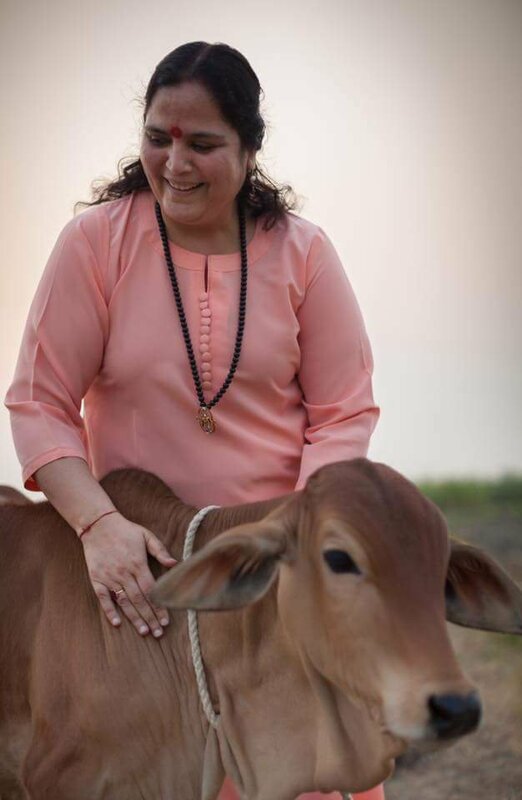 She has written the books like Health & Healing Through Yoga, The Compassionate, Know Thyself, In Quest Of Sadguru, Sutras For Transcending, etc. With the purpose of stopping female foeticide and to empower the women, she has started the mission ”Shakti” (in 2000, at Kanpur, Mumbai, Kaithal, and Gurgaon) that educates the needy girls to get financial independence and provides awareness to stop female foeticide. CEAP (Computer Education Awareness Program) and many such projects have also been launched by her. Once her college lecturer brought to her notice a talented girl student who was crying as her mother was not able to pay her fees and Guruma decided to take responsibility for her whole education. After this, more than 35,000 girls’ education has been sponsored by her ashram, till now. 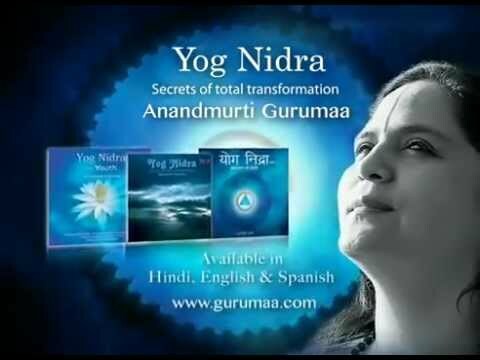 Her unique traditional Yoga methods like Yog Nidra (A type of deep sleep in which one doesn’t lose the consciousness) helps to relieve frustration, stress, insomnia, muscular as well as mental tension. 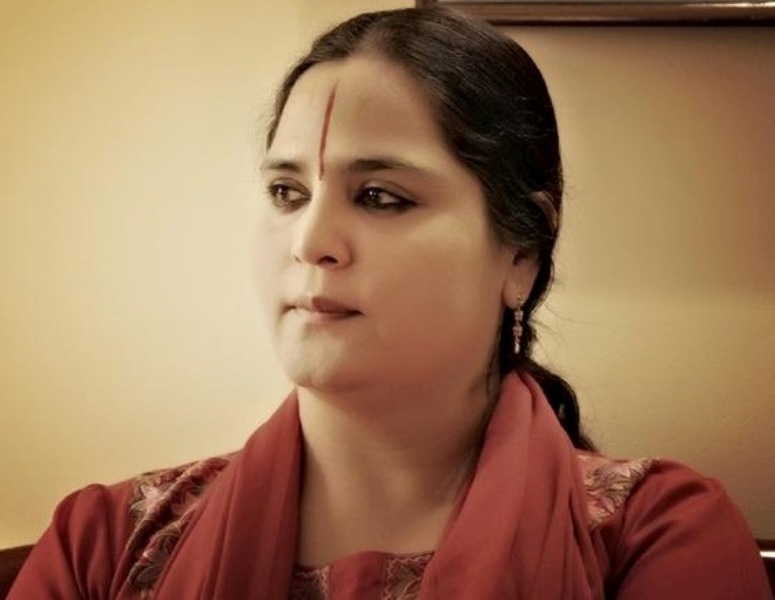 She has in-depth knowledge of ancient Indian scriptures like Upanishads and Bhagavad Gita. Her discourses, Yoga classes, and workshops are organized in different parts of the world regularly. The spiritual knowledge and inner depth of the soul’s identity are beautifully blended in her discourses. For example, according to her, unless a person doesn’t have a ‘shuddha ahankara’ (the pure ego), he can’t have a ‘shuddha sankalpa’ (the pure determination) and the ways that can help to eradicate the awakened samskārā (the reactions of past actions that forces to do wrongs), are Vairāgya (detachment from the material world), practice of pratyāhāra (withdrawal of the senses from worldly gratifications) and meditation. She puts a lot of stress on a spiritual master’s importance in her discourses. As per her teachings, a spiritual master is like a mother who brings the light of knowledge that vanquishes the ghosts of lust, anger, greed, ego, and hatred from a person’s life and helps to become the master of his mind. According to her, the best teacher uses the analogy that is easy to understand for all students and she gives practical illustrations to make the public understand her teachings. Assimilating music with beautiful songs, Gurumaa speaks almost on every aspect of human life like family, religion, society, psychology, and mysticism, etc. In India, she is the first lady who translated the love poems of Turkish Sufi dervish, Mevlana Jelaluddin Rumi, into the Hindi language and she has also published them in her book: Prem Ka Chalakta Jaam. In the album- ‘Rumi – Love at its zenith,’ she has sung Rumi’s poems beautifully.